Quick Links to all available Books, DVDs, Workbooks, CDs and Oils. One summer Dr. Laurie Moore prayed to live in Heaven on Earth everyday. Her yearning to return to unconditional awakening became primary in her heart. She set up an alter in her back yard and invited animals to be her teachers. She was befriended by humming birds, owls, deer, hawks, dogs, lizards that made close contact with her. From far away dolphins and whales called and guided her into new realms. Neighborhood dogs showed up at her seminars. Each animal took her on a Shamanic Journey where she began to remember more and more deeply who we humans truly are: wholeness, source energy and LOVE. Oneness was no longer a concept as The Mother Earth enveloped Dr. Laurie Moore and she viewed her personality, mind and body as a tiny part of the whole LOVE that she was. Now speaking with master teachers, benevolent beings of many dimensions, telepathically with other healers all over the planet, ascended masters and the ONE LIGHT Dr. Laurie assists individuals with initiation into Heaven on Earth via her presence and Satsangs. Her mission is to open up new doors of love among people and all life everywhere. Her products assist you in becoming unconditional love, peace, bliss and joy, utilizing all obstacles for growth and healing, and learning to communicate with all of life via the heart. Shipping and Packaging is USA $17 for every one-three products and USA $20 for the home study kit. If you order is for overseas, please add an additional USA $7 for every one-three products and an additional USA $10 for the home study kit. If you can't decide on which of the products you want from the list below because they all look so delicious, you can purchase the Home Study Kit which includes all 4 books, 3 DVDs, the 8 CD Workbook set, and the audio CD. Moving and inspiring sharings of people and animals learning together. This special product is also included when you buy the home study kit! Couples learning to open into deeper love and erase self defeating habits. Also includes information on choosing a life mate wisely. The miracle of love is shared as people shift and grow. 8 downloadable videos with key tools for creating success with love and delight in all your endeavors. Be fulfilled in the realms of unconditional joys while reaching your goals for love, abundance, wellness and success. Learn about the reincarnation of Jessie the cat and many more of Dr. Laurie Moore's inspiring animal teachers. Learn more about this book and purchase on Kindle or in paperback at Amazon. Jessie the cat shares moving and compassionate wisdom from his heart and soul to yours. Combining love and wisdom in an important life choice. Find new, playful and enjoyable ways to alter reoccurring challenges and return to love in all your relations. 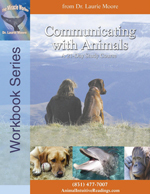 A family approach to learning animal communication. 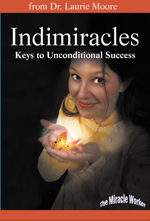 A moving and liberating book for healing betrayals and disappointments with the process of awakening into unconditional love. 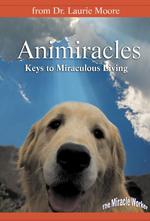 This book is inspired by animals. 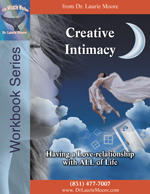 Dr. Laurie's relationship with a mentor assists in the awakening of many people who's experiences are shared in this book. 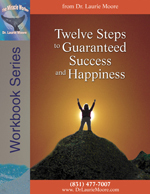 The book is primarily a sharing of Dr. Laurie's own experience with her mentor, Gangaji. Stunning and poetic passages of real people moving into life's mysterious an boundless peace and love. Use these eight simple steps to manifest, fulfillment and dreams coming true. Release anything hindering you. Leran that you are always in love. A fun CD with tips on living life as a creative and joyous event. In this historic talk with two well-versed spiritual teachers who emphasize interspecies connection as an integral part of spiritual growth, we are invited to receive all aspects of ourselves and Nature as valuable partners in our evolution. Where fixing, changing, and analyzing self and others was once a positive solution to the call for change, this practice does not serve us well in this age of rapid spiritual evolution. We are encouraged, instead, to celebrate every thought, feeling, and energy we experience in self and "other" as a call to love and compassion, with the example of other species� positive approach to living as an inspiration. Penelope Smith, "Grandmother of Interspecies Communication,� spreading the good news about our ability to communicate with all species as an animal communication specialist since 1971. 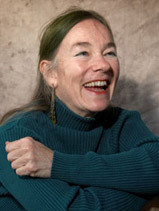 She is the author of the classic books on the subject, Animal Talk, When Animals Speak, Animals in Spirit and founding editor of Species Link magazine. 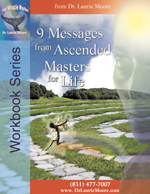 These workbooks will give you tools to assist you with discovering an awakened consciousness and creating dream life and goal manifestation. Learn living as unconditional love, joy, peace and communication with all of life in gratitude, generosity and care. Learn to be at the steering wheel of your awakening. Grace is available to the open heart. Learn to open your heart and mind to the spiritual journey that is already inside you. Preparing the mind and heart allows grace to wooosh in consistently. This course will teach you how. Everyone can learn Spanish, English, Japanese or Italian with proper guidance. Learning to hear, feel, see and receive the language of animals is available to you. This course will teach you how. Happiness is available to everyone. Happiness means being able to harmonize with present circumstances. Learn to create happiness and success as constant conditions for yourself and those you serve. Learn to face your reality in love as it is. Learn to create the reality your heart most calls for. These messages will assist you in listening deeper into the one love, one soul that permeates all. Come home to yourself. This course will help guide you. 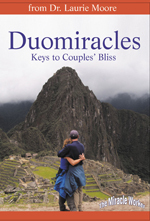 Embark on couple hood as a spiritual journey into deep LOVE even after the honeymoon ends and the shadows emerge. Learn to turn challenges into learning passages and drink in all you can from your relationship experience. Learn to create gratitude, joy, peace, care and fondness on your journey with your mate thought care, generosity, empathy, kindness, compassion, humility and gratitude. Learn to be the creation instead of the reaction. This course will guide you to do so. With a playful and fun loving attitude you can turn obstacles into solutions. You can enjoy all of your relationships. Learn to better love yourself and everyone else. Fill your life with joy in relating. This course will guide you. 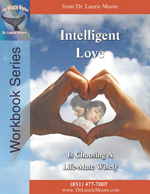 Get crystal clear on the kind of person you will be in harmony with before choosing a mate. It is possible to fall, blossom, and be in love with someone who is a great match. Love and chemistry are not enough. Learn the seven necessary aspects to choosing a life mate. When you are clear on your desires the universe can deliver! Learn how with this course. 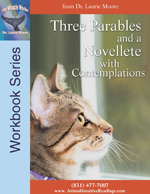 If you like fiction and spiritual inquiry enjoy these tales and lessons they bring. Go deeper into self-understanding and awake consciousness by contemplating these poetic short stories. These powerful, transformative blends assist with the creation of mood, manifestation, release, and more. Each blend is personally made for you, one made at a time. Select brands of plants, flowers, and fruits. All organic ingredients: Rose, Frankincense, Cypress, Galbanum, Spikenard, and Sandalwood in a Jojoba base. All Organic Ingredients: Rose, Vanilla, Amber, and Sandalwood in Jojoba base. All organic ingredients: Rose Geranium, Vanilla, Orange and, Amber in Jojoba base. Organic Vanilla, Amber, Lemon Grass, Lavender, and Orange with Blueberry (non organic),and Cherry (non organic) in a Jojoba base. Distilled water, organic ylang ylang oil, organic plumeria (frangipani) oil, organic vanilla oil, organic palmarosa oil, organic sandal word oil, emotional balancing anaflora flower remedy. Return to Joy anaflora remedy, organic jojoba oil, Himalayan sea salt, Dead sea salt, organic rose oil, organic bergamot mint oil. All Organic Ingredients: Sage and lavender in a base of jojoba oil. Organic Lilac, Lemongrass, and Lavender with non organic blueberry, cherry and cherry blossom in an organic jojoba base. All Organic Ingredients: Three flavors of Rose from three different countries in a jojoba base. All Organic Ingredients: tea tree, clove and thyme. Note: DO NOT get in eyes and DO wash hands after use. This blend is for the feet only and has antifungal properties. Organic amber, sandalwood, vanilla, orange, rose geranium oils with non organic blueberry oil in an organic jojoba base. * If you have allergies or sensitivities please consult a naturopath, Aryuvedic doctor, physician or the appropriate practitioner before using oils.